Tonk, khun Surapan Tanta, comes across as an everyday young Bangkokian. Cool, relaxed, boyishly good-looking, always wearing his cap and round glasses, jeans and shirt open over his t-shirt, but something makes him stand out from the crowd: his tremendous drive, skill and meticulous work ethic. Tonk was born in the province of Petchaboon in the North, well the southern part of the North! He came to Bangkok at the time he started high school. His interest in creating, designing, shaping and building, led him to Rangsit University and the faculty of Architecture. In his spare time, Tonk developed and pursued an interest in photography. he began working in the field with architecture firm “ Be Grey”. He stayed there for close to a decade, acquiring considerable experience, before deciding to strike out on his own. He quit his job and moved to Chiang Mai, a place he had long been attracted to and where he had often travelled during his years at “Be Grey” to work on construction sites. It was here that his interest in coffee began to brew. I got a job at a well-known local café called “Impresso”, where I was allowed to set up a tiny “coffee corner” in front of the café. Early in the morning, between 6-10 am, I would bring along my manual lever machine, make coffee for the early birds and once “Impresso” opened at 10 am, pack away my equipment and start my working day for the owner of the café. Tonk stayed in Chiang Mai about a year and a half, happy with his small beginnings, which gave him the freedom to experiment and learn by trial and error. This was a period in his life when he just wanted to focus on making coffee and making it well. Having mastered what is almost an art form in its own right, Tonk returned to his former loves architecture and photography. For Tonk, architecture, photography and coffee are the three sides of a personal “magic” triangle. For him, architecture is all about creativity and discipline, about being able to see the bigger picture, while, photography is all about emotion, vision and timing and making good coffee is all about technique and knowledge of the product. All three require not only skill but a real passion for the subject. When Tonk returned to Bangkok in 2012, he travelled around the city with a suitcase and his “Olympia Express” lever machine, making coffee at his old office and at friend’s homes, making the most of an urban “nomadic” existence before deciding it was time to put down some roots. 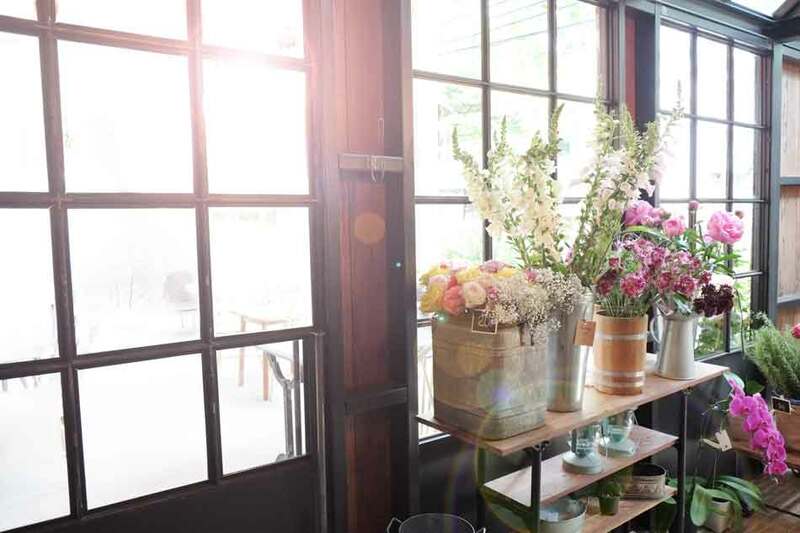 He began looking for a small location and stumbled over the “Art Village in Thonglor”, came often where he set up shop with, two small tables and a narrow counter. 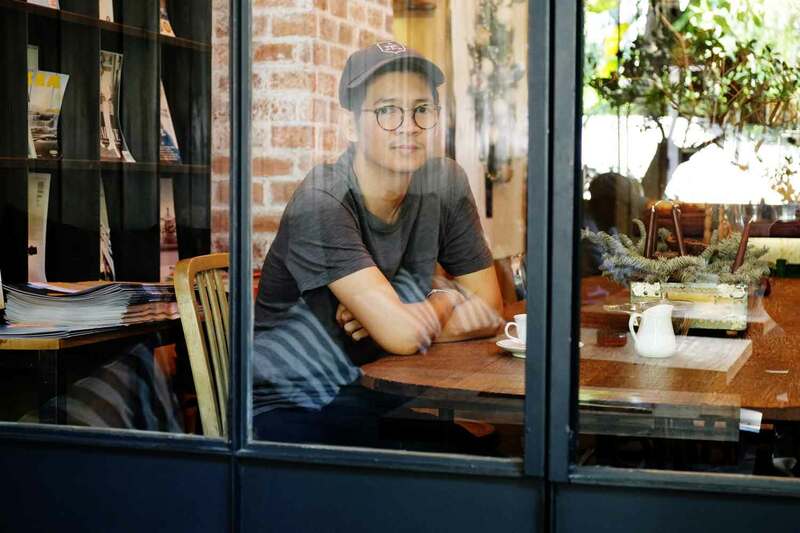 His former boss, Jong, khun Jakarin Aksarawadeewat, ended up becoming a regular and their discussions around the coffee table soon turned into discussions about joining forces and finding a third partner and new location for their project. 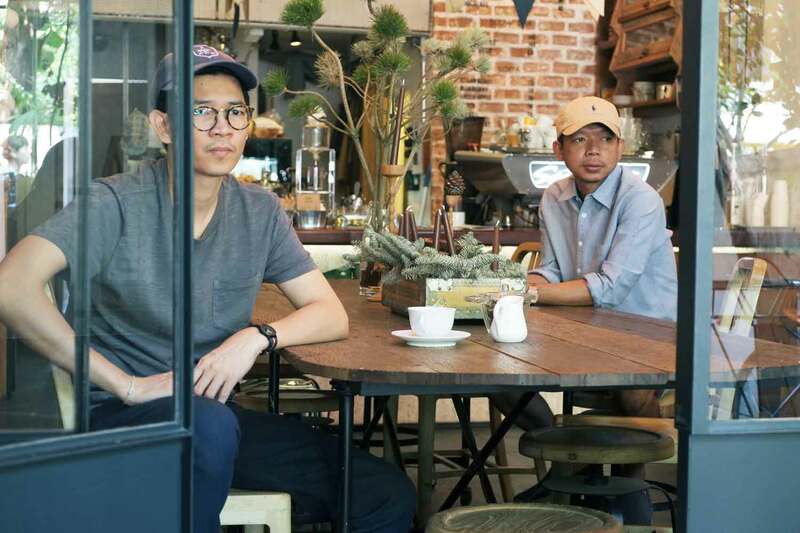 The trio was completed by Lux, khun Nattaphat Suriyakhumphol, whom Tonk had known since their student days at Rangsit University and later worked with at “Be Grey”. Jong, their former boss at “Be Grey” was the owner of a shop house in a great location and the rest, as the saying goes was history…. Lux was responsible for the interior design concept, Jong for the real estate side while Tonk was responsible for managing the business and developing the brand. On the 1st of May 2013, Casa Lapin x49 café opened its doors in a typical “Bangkokian” shop house and quickly became a place not only to come for coffee, but to hang out with friends or come alone to read or work. A few months later, in August, a second Casa Lapin was opened in the neighbourhood of Ari. While much bigger than the first, it has the same cosy feeling. These openings coincided with a real boom in the Bangkok coffee shop market, with the arrival of Roots, Brave Roasters, One Ounce for Onion, Ceresia coffee roasters and Ink & Lion to cite just a few. 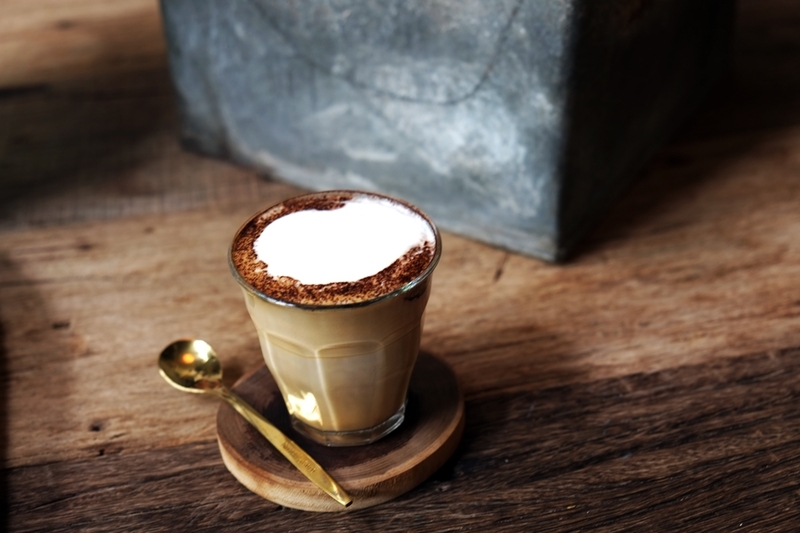 The local coffee scene has become increasingly sophisticated and going out for coffee has become a favourite social pastime in the City of Angels for locals and foreigners alike. Jong, Lux and Tonk remain the main investors in Casa Lapin but have brought others in. Their business strategy was always to learn and evolve, through diversity their business could thrive not only by serving coffee but also becoming roasters themselves or even further: taking on a larger concept than just a café? Their latest location, the third Casa Lapin, opened last summer in the “huge” Casa Lapin x26 warehouse, which holds a café, restaurant, community workspace, a hostel and a lovely flower shop. All of these places are under different ownerships and management, and each has its own unique personality. Every café has its own investment and management group, with Jong, Lux and Tonk remaining the main investors. As we grew, we realized that our management style and structure needed to adapt to our organizational growth and went about finding people who shared our vision and values and who already had experience in managing medium to big-sized businesses to run new locations. Casa Lapin has come a long way from its origin as a one-man show with a lever machine in a suitcase to an organization with some 40 employees. They source their coffee from around the world and increasingly also from Thailand, which has over the last decade or so seen an increase in coffee bean production and an improvement in quality. People will be drinking more good quality coffee. Do you have any new projects in the near future? Yes, we’re working on a new place in the vicinity of Hua Lamphong railway station, which is scheduled to open in May 2015. My last question to him was: is this a dream come true? He smiled but didn’t answer, but I think I figured out somehow, reading between the lines, that Tonk is very happy and enjoys this amazing venture. I have also understood that he has a far away dream of one day “in the late future” to go back and live in the North of Thailand, somewhere around Chiang Mai or Chiang Rai, but for now he is definitely too busy….